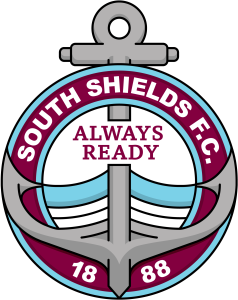 South Shields FC Academy was formed in May 2017 thanks to a collaboration between South Shields FC, Sunderland College and Catalyst Professional Sports Management. The vision was to create a 16-19 Academy programme that helps to develop the best young footballing talent in the North East, that have perhaps just missed out on professional contracts at 16 or 18 years of age. The individuals that are accepted into the Academy combine a full-time football development programme, delivered by first-team joint managers Lee Picton and Graham Fenton, alongside a choice of various educational pathways ranging from A levels to BTECs in sport provided by our partners at Sunderland College. Each week, our Academy students receive up to 12 hours of unrivalled professional coaching including specialist technical coaching sessions, and strength and conditioning sessions delivered by Martin Nugent (one of the top sports and conditioning coaches in the North East), alongside tactical performance analysis and regular elite athlete screening. On top of this, our teams are involved in the highest level of competitive games programme, which sees them compete in competitions such as the National League Under-19 Alliance, ECFA Category One and national cup competitions including the prestigious FA Youth Cup. Our Under-18s reached the second round of the FA Youth Cup in the 2018-19 season after a tremendous run in the competition before being beaten by Lincoln City at Sincil Bank. The games programme is also supplemented by many professional youth team fixtures throughout the season in order to fully test and develop our young players, and hopefully prepare them for first-team football at South Shields FC. It’s not just your footballing education that Sunderland College care about, but your academic education too. Sunderland College has a great reputation for its teaching and learning, and its students have exceeded the national average for achievement rates and high grades for the last five years. Players at the South Shields FC Academy can select to study sport courses at levels one to five, or study three A-level subjects alongside the Academy coaching sessions and competitive games in the highest leagues accessible, ensuring our academy players meet their footballing and career aims. The quality of the education and support we provide to our Academy players is paramount to us. That is why we are committed to developing our programmes to ensure that they meet the highest possible quality standards, are delivered by industry experts and are endorsed by both universities and key industry employers. Sunderland College has consistently achieved the highest rates of student satisfaction, and its students have achieved a 99% A-Level pass rate and 100% pass rate for sport programmes for the last eight years.